From HuffPost UK: Theresa May’s hopes of winning DUP support for her Brexit deal have been dealt a blow after the party demanded significant changes – which the EU is already refusing to allow. 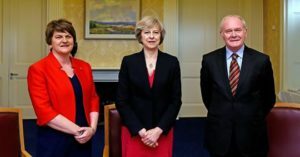 After two days of talks with the prime minister and other senior government figures, the DUP on Thursday revealed it will still refuse to back the deal in its current form. Theresa May made getting DUP support an absolute priority after delaying the Commons vote on the Brexit deal last month in the face of almost certain defeat. She was hoping their backing could start a domino effect to win over scores of Tory opponents. On creationism: “My view on the earth is that it’s a young earth. My view is [it was created in] 4000 BC.” – Edwin Poots, MLA for Lagan Valley, talking to Times columnist Mattew Parris in 2007. 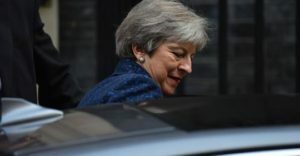 From the Daily Mirror: The Tory Government accepted a string of amendments to the Budget last night, threatened with an embarrassing defeat at the hands of the DUP. From Daily Mirror: Theresa May faces a furious new threat to topple her over Brexit by the end of the *month* as tensions boil over. From The Independent: DUP leader Arlene Foster has said the Good Friday Agreement is not “sacrosanct”, insisting the landmark peace treaty could be altered to accommodate a Brexit deal. DUP on Brexit: How dare you contemplate Northern Ireland being different from the rest of the UK!DUP on abortion: How dare you not allow Northern Ireland to be different from the rest of the UK! From The Guardian: Theresa May will oppose plans to let MPs vote to liberalise Northern Ireland’s oppressive abortion laws, Downing Street has signalled. 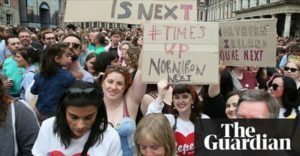 The landslide vote in favour of liberalising abortion laws in the Irish Republic has put the spotlight on Northern Ireland, which will be the only place in Britain and Ireland where abortion is in most circumstances illegal. The 1967 Abortion Act was never extended to the region, and abortion is only allowed if the life or mental health of the mother is at risk. From Belfast Telegraph: Sinn Fein MP Francie Molloy has described proposed changes to Northern Ireland’s electoral boundaries as “gerrymandering to placate the DUP”. An official map obtained by the Press Association shows changes to electoral seats in Northern Ireland to facilitate a reduction from 18 seats to 17 – something which comes as part of an overall reduction in parliamentary seats from 650 to 600. “The Boundary Commission proposed and consulted on new electoral boundaries in 2016 as part of an overall plan to reduce the number of MPs here from 18 to 17,” Mr Molloy said. 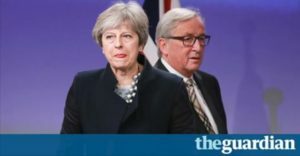 From The Guardian: Theresa May’s political weakness was brutally exposed to Brussels on Monday, as an agreement struck between Britain and the EU to solve the problem of the Irish border and move to the next phase of Brexit talks was torpedoed by a last-minute telephone call with the leader of the DUP. Confidence early on Monday that an agreement was within reach came to nothing when, during a working lunch with the European commission president, Jean-Claude Juncker, May was forced to pause discussions to take a call from Arlene Foster. 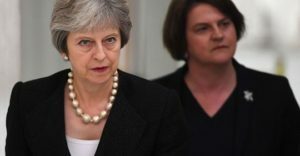 The unionist leader, whose party currently provides the Tories with a working majority in the Commons, told the British prime minister that she could not support Downing Street’s planned commitment to keep Northern Ireland aligned with EU laws. From Sky News: DUP MPs are now each worth more than football star Cristiano Ronaldo following their deal with the Tories, an SNP MP has claimed. Alison Thewliss noted it was a “slightly odd position” that the Northern Ireland MPs can be viewed as dearer than the Real Madrid forward. 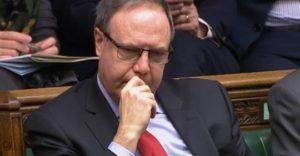 After the last General Election, it was announced the DUP’s 10 MPs had agreed to support the Conservative minority Government under a “confidence and supply” deal. 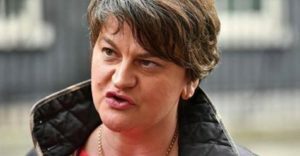 Under the terms of the agreement, an extra £1bn of taxpayers’ money was to be spent in Northern Ireland, which can be calculated as £100m per DUP member. In 2009, Ronaldo became the most expensive footballer in history when he signed for Real Madrid from Manchester United for £80m. From The Guardian: The Conservative/DUP deal is intended to serve three functions: to keep the Tories in power; to ensure that Brexit gets through Parliament; and to get the Northern Ireland power-sharing agreement back on track. From NME: The 2017 general election resulted in a hung parliament, because Labour’s huge gains obliterated the Tories’ majority. The irony is delicious: Theresa May’s only option now has been to form a ‘coalition of chaos’, the phrase she used to belittle Labour and her other opponents throughout the election. 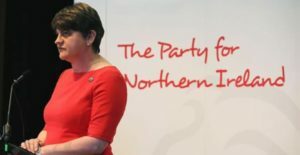 The only party that had enough seats and hadn’t pre-emptively rejected a coalition with the Tories was Northern Ireland’s Democratic Unionist Party. If you don’t know who they are, here’s what you need to know.